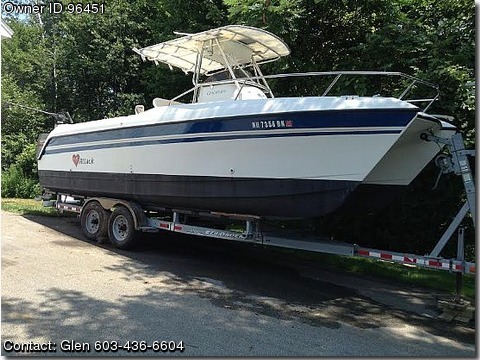 Please call boat owner Glen at 603-436-6604. 1997 Glacier Bay Cat w twin 140 Suzuki 2 strokes, trailer, Garmin GPSChartplotterFishfinder, new tires, portapotty, live well, recently changed impellers, and one power tilt motor. Very good shape for a 1997. Includes outriggers and one downrigger. Downsizing to a 21 footer.